Morris Park	Morris Park and Recreation Center stretch the length of one city block near the elementary school, and feature neatly manicured lawns and beautiful elaborate gardens. Master Plan: After two years of extensive community engagement, the Morris Park Master Plan was approved in 2016 as part of the South Service Area Master Plan. The Morris Park Master Plan will guide outdoor park improvements at Morris Park for the next 20-30 years. Click the link below to view the master plan. 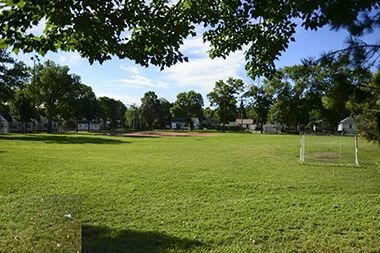 Name: The park was named for its location adjacent to Morris Elementary School. The park in the far southeast corner of the city west of the Mississippi River was purchased by condemnation May 8, 1956 for $67,196, but it appeared long before then in park board deliberations. 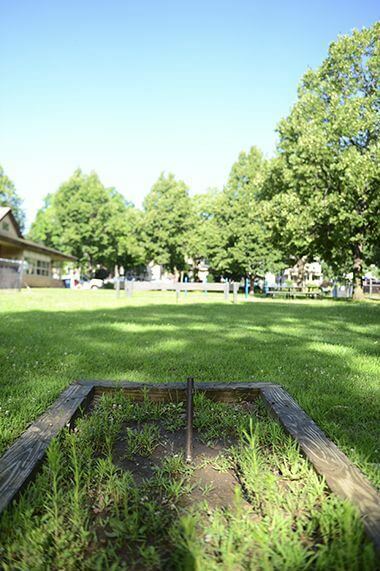 A potential Morris Park first appeared in the form of a protest from the Morris School PTA against a resolution by the park board to acquire three park sites in the portion of Minneapolis that was annexed from Richfield in 1926. One site the park board considered was at 59th Avenue and 27th Street, southwest of the present Bossen Field, land that is now owned by the airport. The Morris Park PTA wanted a park nearer the school. 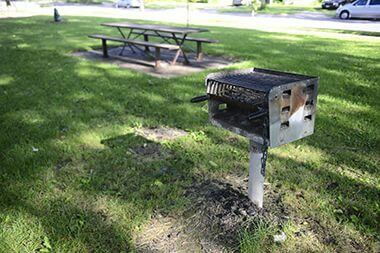 After much debate over the location of a park in the vicinity, the issue was rendered moot by the park board’s abandonment in 1931 of all efforts to acquire any parks in the newest section of the city that was annexed from Richfield. Property owners were not willing to be assessed for the acquisition or improvement of any of the proposed sites, perhaps understandable given the onset of the depression. An internal park board survey of neighborhoods that needed playgrounds in 1938 identified the Morris Park neighborhood as one where a playground was recommended for future development. It was not placed in the two highest categories of “acute” need. 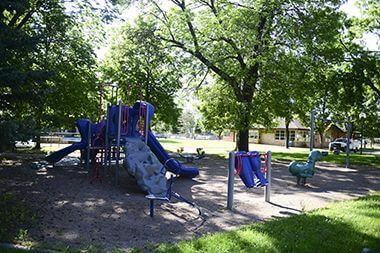 During the economic recovery of the 1950s, and after successful collaboration by the park board and school board in building parks and schools jointly at Waite Park and Armatage Park, the two boards considered another cooperative venture at Morris School in 1954. The addition of a park to the school grounds got a green light in 1955 as a special assessment project, meaning that property owners in the neighborhood would be assessed the costs of acquiring and improving the land for a park. The land was acquired in 1956 and work began on the park. The park acreage was augmented by 1.7 acres of land owned by the school board adjacent to the school. The land acquired was not vacant land, so homes had to be moved before construction could begin. A shelter was built at the park in 1957 similar to the design pioneered at Franklin Steele Square with garage-door like exterior walls that could be raised in summer and lowered in winter to provide a warming house. In addition to the shelter, the park board installed ball fields, a hard-surfaced play area, a wading pool and playground equipment. Morris Park was the subject of political wrangling in 1979. 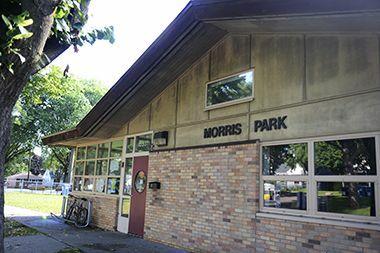 The park board added an expansion of the Morris Park shelter, at a cost of $467,000, to its 1980 bond program request. The mayor vetoed the expenditure, but the park board voted unanimously to override the veto. Despite the assertion of its independence from the mayor, the park board did not get its way when the city council did not approve the bond request. The park board did obtain city bond funds, as well as grants from the state, to renovate the park in 1985 and 1986. Finally in 1993 and 1994, the funds were provided for the expansion of the old portable-wall shelter at Morris Park into a small, modern recreation center. One of six skate parks in city parks was installed in 2005 and new playground equipment was installed in 2009. Morris School closed in 2007. Morris Recreation Center offers programming year-round. 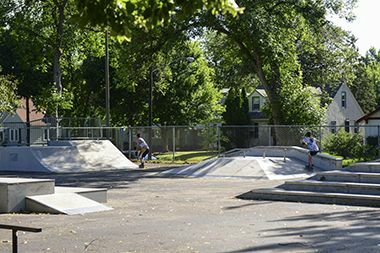 Morris Park is one of six Minneapolis parks to feature a skate park. 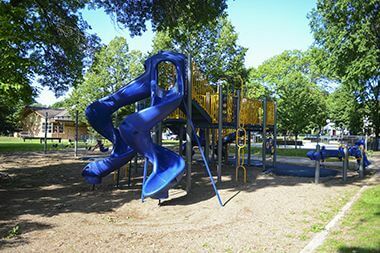 Morris Park features both a full size playground and a tot lot for the smallest family members. 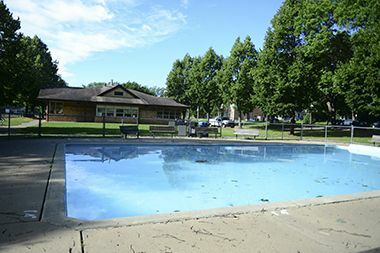 Cool off in the summer at the Morris Wading Pool. See our other wading pool locations. 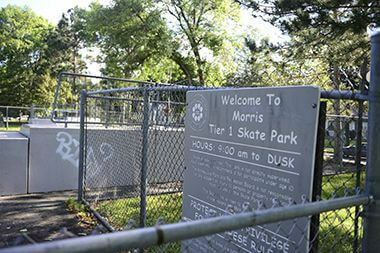 The park was named for its location adjacent to Morris Elementary School, which closed in 2007.